Yes, I know the last two posts have similar titles. It was intentional. Not that funny, but intentional. Moving on. Ground pork is a terrific alternative to beef when you’re in the mood for a burger. They are pretty lean, though not as much as ground turkey, so the meat doesn’t need as much help as turkey to keep it seasoned and flavorful, but it does need some attention. Going for an Asian flare, we kept it simple but tasty by mixing the meat with scallions, grated ginger (yummy), garlic, salt and pepper, and sesame oil, which kept the burgers nice and moist. The savory burger topped with smoky grilled onions and capped by a Sriracha mayo created an intense and aromatic flavor combination that was fantastic. We used boring hamburger buns – the dish would be even better with a nice onion roll or Kaiser roll. We served this with a cucumber salad for a complete and healthy meal. Enjoy! Heat a grill on medium. In a large bowl, mix the pork with the scallions, ginger, garlic, sesame oil, 2 teaspoons of kosher salt and 1/2 teaspoon pepper. Form the meat into four 3/4-inch thick patties. Lightly oil the onion slices. Grill the burgers and onions, turning once, until cooked through, about 8 minutes (the onions may take less time). Spread 1/2 tbsp. of the chili mayo on the top half of each bun. Place the burger on the bottom half, top with onions, close with top bun. Eat! 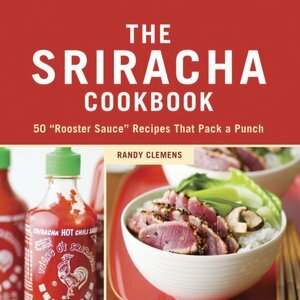 After our recent post about a recipe from the Sriracha Cookbook, the book’s author Randy Clemens commented on that post. I love this internet thing. Anyway, on to today’s recipe which we adapted from – guess what – the Sriracha Cookbook by Randy Clemens! It’s another soup; this time a spicy take on corn chowder that’s full of flavor, with some delightful heat. The onions, bell peppers and Sriracha give it a robust orange-red color, and the roasted corn kernels really enhance the dish. The amount of cream is fairly small, so it’s not a heavy soup at all. You can of course adjust the amount of Sriracha – the amount listed here makes it quite spicy, but not lip-burning spicy. It’s perfect for these cold weather nights. Enjoy! Roast 2 ears of corn over a direct flame (on a preheated grill or over a gas burner) until the corn kernels begin to blacken, turning every few minutes until all sides have roasted. After the roasted ears have cooled, scrape the kernels from the cobs, and reserve. Heat the oil in a large pot or Dutch oven over medium heat. Add the bell peppers and onions and cook until softened slightly, 5 to 7 minutes. Meanwhile, scrape the corn kernels from the remaining ear of corn. Add the raw corn kernels and garlic, and cook until the garlic is aromatic, 1 to 2 minutes. Add the stock, Sriracha, thyme, and bay leaf. Bring to a boil, then lower the heat and simmer for 30 minutes. About 10 minutes before the soup is finished, gently heat the cream over low heat, keeping it just below a simmer. Once the soup has cooked for 30 minutes, discard the thyme and bay leaf. Puree the soup using an immersion blender. (A food processor or blender can be utilized with caution, pureeing the hot liquid in small batches.) Mix in the warm cream and add the reserved roasted corn. Cook for an additional 3 to 5 minutes, until thoroughly heated. 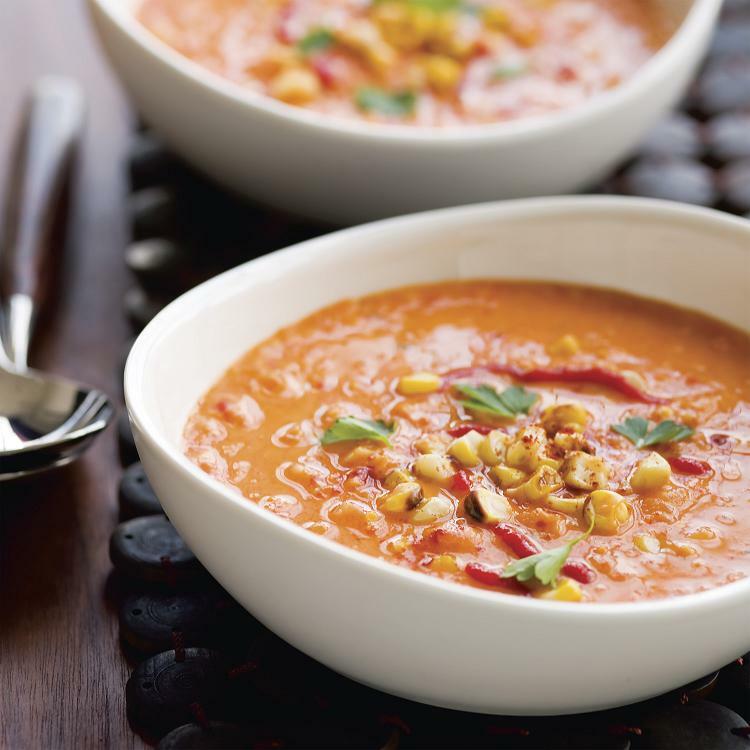 Ladle the soup into bowls and garnish with a generous sprinkle of smoked paprika, and torn cilantro or parsley leaves. Eat! The Sriracha Cookbook is 2 for 2! The MHK was gifted what looked like it would be a fantastic cookbook for Christmas this year: the Sriracha Cookbook. If you love spicy food, then just the title of that book should make you drool. Sriracha, or “rooster sauce” as it’s fondly termed because of the drawing of that combed fowl on every bottle, is Thai and Vietnamese in origin, and packs a nice, flavorful wallop to many dishes. We’ve made two recipes from the book so far, and both were really tasty. Today’s is the Thai chicken coconut soup, and the broth is so good you’ll want to plug it intravenously into your vein. Tangy lime, sweet coconut milk, and a healthy dose of Sriracha combine in a beautiful and fiery way. It’s very easy to make, and the chicken could certainly be switched with tofu (and use vegetable broth in place of chicken broth) for non-carnivores. Adjust the Sriracha to your taste; the amount in the recipe is quite spicy, but in a great way if that’s your thing. And remove the lemongrass and ginger before serving. Enjoy! In a medium stockpot over high heat, combine the stock, fish sauce, ginger, lemongrass, and lime zest and bring to a boil. Lower the heat and simmer for 10 minutes. 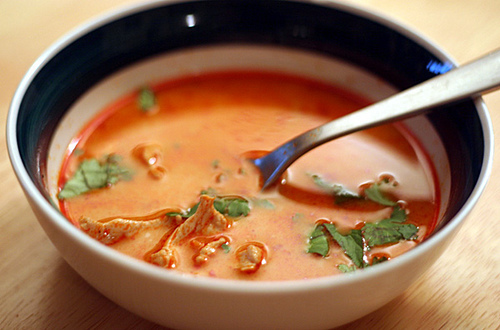 Increase heat to high, add the coconut milk, Sriracha, and chicken, and return to a boil. Lower the heat again and simmer until the chicken is cooked through, about 5 minutes. Turn off the heat and add the lime juice. Ladle soup into bowls, garnish with cilantro. Eat! …is still delicious. We may have to branch out here at the MHK and start a sandwich blog, because lately we have just been sandwich-saturated with international takes on that classic cuisine. Maybe we’ll call it the “Blogwich” or something. Anyway, today’s recipe is a version of a sandwich common in one of the places you’d least expect sandwiches to be considered a national dish: Vietnam. 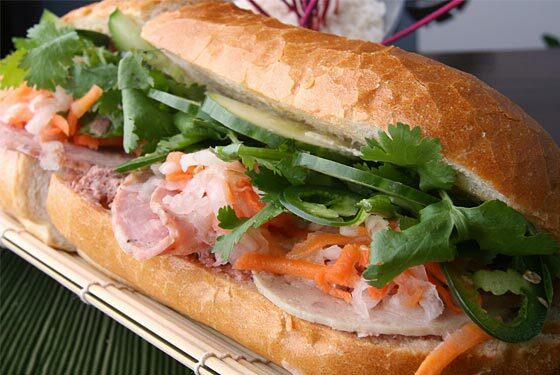 The banh mi is readily found in Vietnamese eateries, particularly ones that are more “fast food” Vietnamese as opposed to the fancier restaurants. MHK reader Daniel commented on a recent recipe saying it was sort of like a breakfast banh mi, and as you’ll see with today’s recipe, he was on the right track. It’s a historically interesting dish; the flavors are pretty much purely Vietnamese, but the influence of the French colonization of that part of the world comes through with the protein filling, and the fact that it’s a sandwich. Traditionally the banh mi is made with thinly sliced pickled carrots and daikon radish, cucumbers, cilantro, chili peppers, pâté, mayonnaise and various meat fillings or tofu. The meats are usually roasted pork, Vietnamese sausage, ham, or cheese. The meat actually takes a backseat to the garnishes in this sandwich, as all the flavor comes from the pickled carrots and radishes, along with the spicy chili peppers and the fresh cilantro. It’s an absolutely delicious sandwich that can be made fairly quickly. 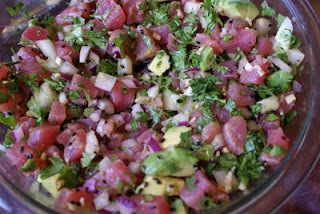 This recipe is from the Hannaford Supermarket magazine, but you can create your own variation as you see fit. Enjoy! In a small saucepan over medium heat, combine vinegar, sugar and salt. When sugar and salt dissolve, remove from heat and add carrots and daikon. Stir to coat, transfer to bowl, cover and refrigerate 30 minutes. In a small bowl, combine mayo and chili sauce until well mixed. Split rolls in half lengthwise, build sandwiches: spread mayo on bottom half, top with jalapeno slices, then ham or pork, then cucumber slices, then carrot-radish slaw, then cilantro. Spread mayo on top half of roll and close. Slice in half and eat!